Soldiers who took over state broadcasting offices in the West African country have been arrested and two were killed, government officials say. Gabon's government has retained control of the West African country after an attempted military coup early Monday, in which two plotters were killed, officials say. 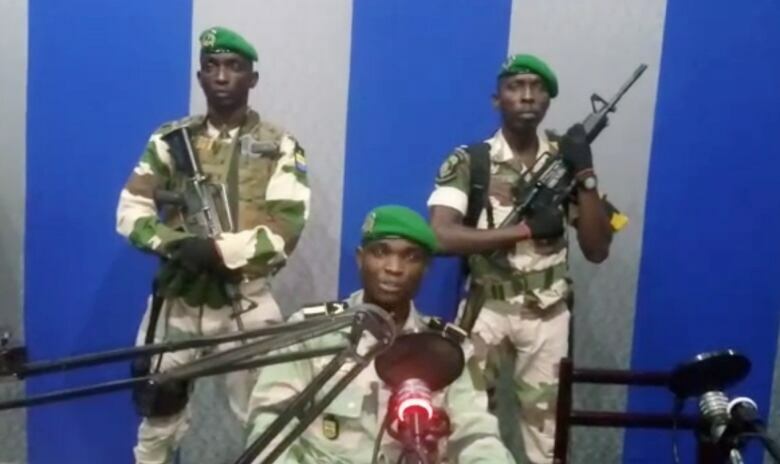 Five army officers who took over state radio in the coup attempt have been arrested, government spokesperson Guy-Betrand Mapangou told Radio France International (RFI). Authorities have regained control of the state broadcasting offices and a major thoroughfare in the capital, Libreville, which were the only areas taken over by the officers, according to the spokesperson. Two of the coup participants were killed when security forces took over and freed some hostages, according to a presidential statement reported by RFI. Earlier Monday, a soldier who identified himself as Lt. Obiang Ondo Kelly, commander of the Republican Guard, read out a statement saying the military had seized control of the government of the West African country in order to "restore democracy." He was flanked by two other soldiers holding weapons, and all were dressed in camouflage uniforms and green berets. Those soldiers have been taken into custody and President Ali Bongo's government remains in control, said the government spokesperson. A curfew has been imposed over the capital, Libreville, and the internet was cut. The city on the Atlantic Ocean coast was being patrolled by military tanks and armed vehicles. The African Union affirmed its support for the Bongo government. "The African Union strongly condemns the coup attempt this morning in Gabon," the head of the African Union Commission, Moussa Faki Mahamat, said on Twitter. "I reaffirm the AU's rejection of all anti-constitutional change." Bongo, in power since 2009, has been out of the country since October amid reports that he had a stroke. He recently addressed the country in a new year's message that was filmed in Morocco, where he has been receiving medical treatment. 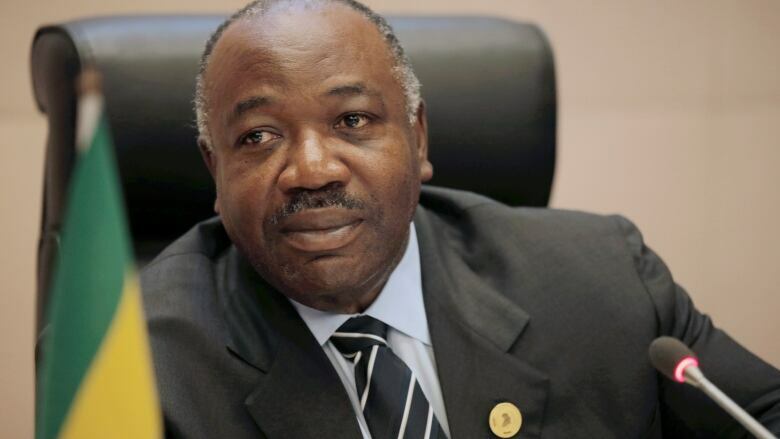 Oil-rich Gabon has been ruled for more than half a century by Bongo and his father, Omar, who died in 2009. Critics have accused the family of profiting from the country's natural resources while not investing enough in basic services for the population of more than two million people. About one-third of the population lives below the poverty line, according to the World Bank. In his brief New Year's speech, the 59-year-old Bongo declared that the country was "indivisible" and acknowledged his health problems without giving details. "A difficult period," he called it, and a challenge that he surmounted "thanks to God." He promised to put all of his efforts into improving the daily quality of life for Gabon's people. The French-educated Bongo, the country's defence minister before becoming president, narrowly won re-election in 2016, while opposition rival Jean Ping claimed irregularities and continues to call himself the country's real president.